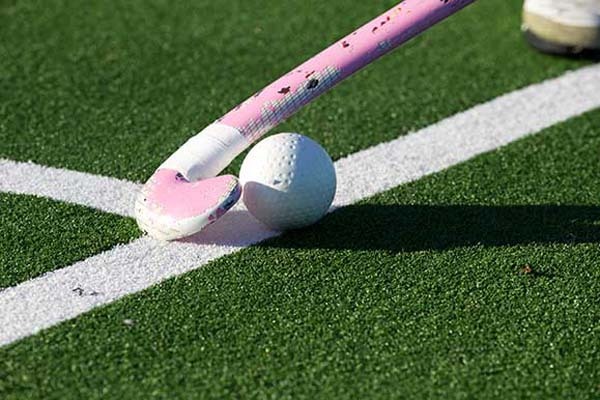 of the Sultan of Johor Cup Under 21 Hockey played in Johor Bahru (Malaysia) on Sunday. round robin but in the final the green shirts teamed up well by producing good show and took second position behind Australia. well contested and both Australia and Pakistan forwards raided on each other territory with some fine moves. minute through the first penalty corner. Instead of Abu Bakr, Pakistan’s regular striker, also their top scorer in the event with four goals, it was long stature Hassan Anwar who took it. His fast high flick on goal keeper’s left side was unstoppable. Frazer’s penalty corner conversion was almost a replica of Hassan Anwar’s effort. Game’s tempo went up with each of the sides shattered rival defence. Pakistani showed good composure in defence and were fast on turn overs. corner in 32nd minute. Goal keeper Muneeb brilliantly palmed it away with an outstretched left arm. The first 15 minute of the second session Australia dominated by time and again shattering PakistanÆs circle with some good moves. Three more penalty corners came their way. On the fifth of the day, the penalty corner hit stuck Pakistani line stopper’s foot. The resultant penalty stroke was cashed in on by Blake Govers and Australia were 2 1 ahead in the 47th minute. second penalty corner of the day but Australian deep defence kept the lead intact. With just four minutes left, Blake Govers’ second goal, off a penalty corner, sealed Pakistan’s fate. Pakistan should take a lot of heart from their splendid performance. They had never finished above 4th place at any of the five previous editions of Sultan of Johor Cup. In the last two events, they were last sixth. And this time Pakistan played the final. The magnificent result could not have come at a better time just four weeks before the Junior World Cup. Malaysia and New Zealand remained at third, fourth, fifth and sixth places respectively.